Stalker Pumps was founded in August 1923 by Fred Stalker who perceived a growing demand for pumping equipment from Western Australia’s fledging mining industry. 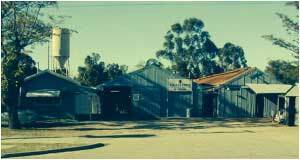 Starting out in Gosnells Western Australia in what became known as the “tin shed” is where the journey started. It was here that the well-known Stalker series was developed & manufactured. In the 1930’s Fred was joined by his two sons Les & Ron who continued to expand the business, diversifying into different types of pump manufacture & formed FL STALKER AND SONS in 1957. The company continued to develop an enviable reputation in the field of service & repair work. The business was then passed on to Fred’s grandsons Barry & Trevor Stalker to manage. Stalker Pumps had grown into one of Australia’s most respected pump manufactures suppling pumping equipment for specialised projects in many parts of the world & throughout Australia. By the 1970’s Stalker Pumps range included; Centrifugal pumps 15mm to 300mm, Electric Close Coupled Pumps to 75kw; Pressure Units both shallow & deep well; sewage & sump pumps; vertical line shaft turbine pumps to 250mm; vortex pumps; wide body slurry & solids handling pumps; bronze pumps (servicing the World’s Fishing Ind. ); Large bore axial flow vertical pumps & APR Self Priming Pumps. By the early 90’s the Compact Series was developed & introduced into the Stalker range. Then in the Mid 90’s the famous ISO series was designed & launched becoming one of Stalker Pumps most diverse & popular pump series still to this day. The APC range was also launched during this period suiting many dewatering applications. In early 2001 Stalker Pumps launched their SHD Range meeting the needs of heavy duty applications. Stalker Pumps continues to produce these diverse ranges of pumps to suit numerous applications, also offering customised packaged pump solutions to meet specific project needs. In 2008 the Stalker family sold the business to 3 Directors; Fraser Murray, Chris Moffett & Stephen O’Shannessy. Stephen O’Shannessy was appointed Managing Director in 2011; Stephen first started his career at Stalker Pumps in 1976 where he started work in the Foundry, then moved into service, repairs & assembling of new pumps until 1980. Stephen than came back to work for Stalker Pumps in 1987 where he joined the Engineering Department & later moved into the Sales Department. Stephen plays an integral part in the business today, using his knowledge to help clients design their pumping operations. 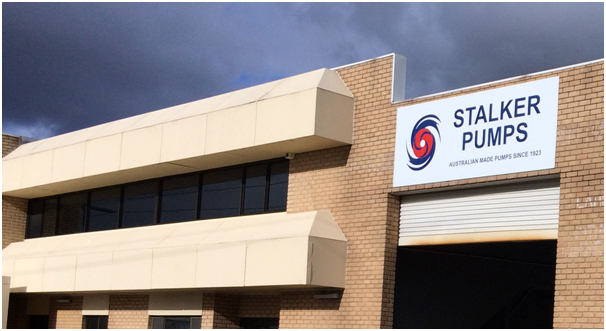 As demand begun to grow in 2009, Stalker Pumps moved to its current larger premises in Canning Vale, Western Australia. Here Stalker Pumps is fully equipped with a machine shop, paint shop, fabrication shop, service & repairs department, engineering department and its foundry. This makes Stalker Pumps one of the last pump manufacturers with a foundry in Australia. It enables Stalker Pumps to custom manufacture your pump to the materials suited to your application & tailor make your pumping equipment to suit your specifications. Stalker Pumps continues to develop its product range & specialises in heavy duty metals to meet the demands of the Oil & Gas & Mining Industries.